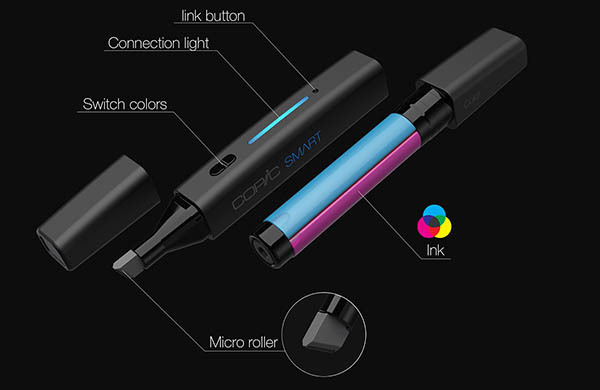 Copic Smart Marker is an interesting marker concept which works like an ink printer with replaceable cartridges of cyan, yellow and magenta. 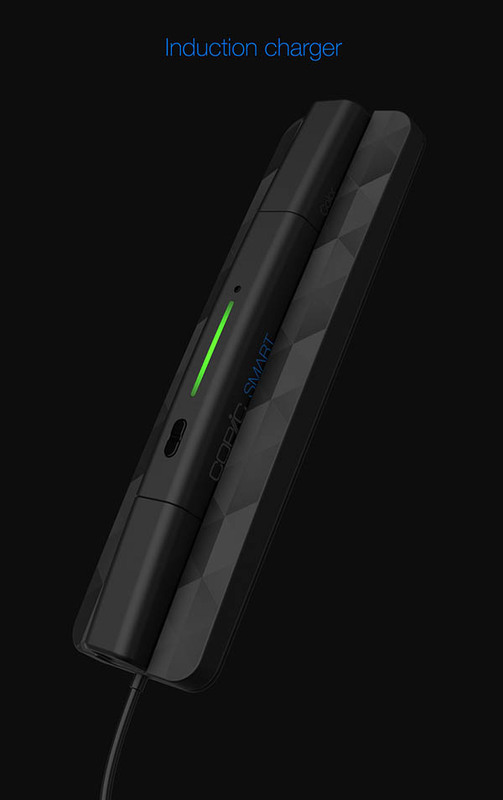 Unlike a limited, space-consuming set of colored markers, it gives users endless color options in one compact device. 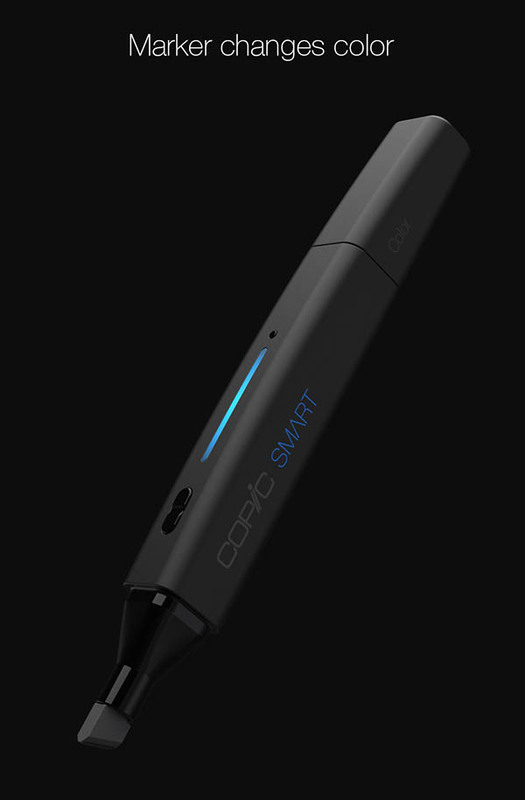 Connecting with smartphone with bluetooth, user can select the color they want and draw away. Quite smart right? 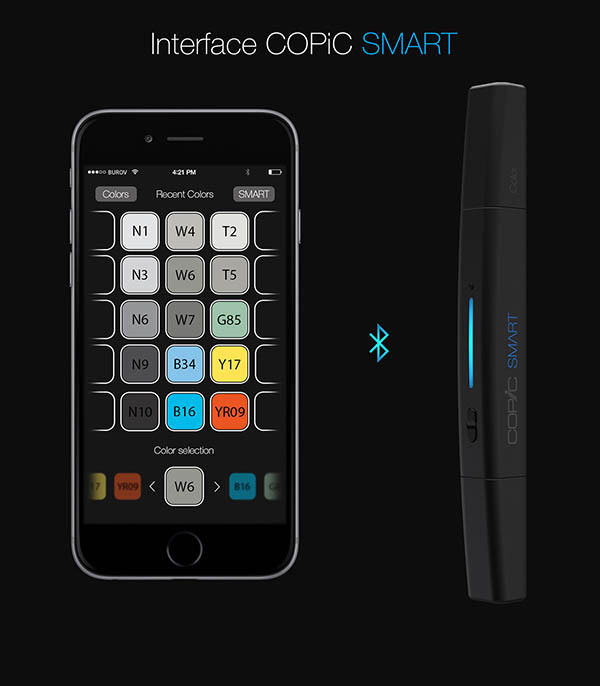 The only problem I can think is the color switch. For example, if you choose yellow and then want to draw some blue lines, because some ink still is in brush, the line would be a bit green-ish. Not sure how the designer will fix this problem.